Mark Lawrence is married with four children, one of whom is severely disabled. His day job is as a research scientist focused on various rather intractable problems in the field of artificial intelligence. He has held secret level clearance with both US and UK governments. At one point he was qualified to say 'this isn't rocket science ... oh wait, it actually is'. 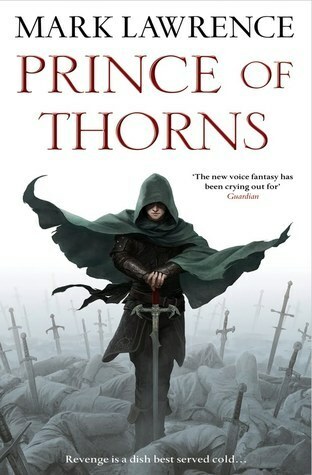 The Prince of Thorns is his first published novel. It is the beginning of a projected trilogy following the fortunes of Honorous Jorg Ancrath. It's time for Prince Honorous Jorg Ancrath to return to the castle he turned his back on, to take what's rightfully his. 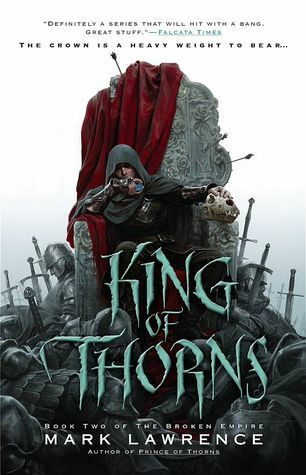 Since the day he hung pinned on the thorns of a briar patch and watched Count Renar's men slaughter his mother and young brother, Jorg has been driven to vent his rage. Life and death are no more than a game to him--and he has nothing left to lose. But treachery awaits him in his father's castle. Treachery and dark magic. No matter how fierce his will, can one young man conquer enemies with power beyond his imagining? The second book in the Broken Empire series, Lawrence takes his young anti-hero one step closer to his grand ambition. The land burns with the fires of a hundred battles as lords and petty kings fight for the Broken Empire. The long road to avenge the slaughter of his mother and brother has shown Prince Honorous Jorg Ancrath the hidden hands behind this endless war. He saw the game and vowed to sweep the board. First though he must gather his own pieces, learn the rules of play, and discover how to break them. A six nation army, twenty thousand strong, marches toward Jorg's gates, led by a champion beloved of the people. Every decent man prays this shining hero will unite the empire and heal its wounds. Every omen says he will. Every good king knows to bend the knee in the face of overwhelming odds, if only to save their people and their lands. But King Jorg is not a good king. Faced by an enemy many times his strength Jorg knows that he cannot win a fair fight. But playing fair was never part of Jorg’s game plan. The Hundred converge for Congression to politic upon the corpse of Empire, and while they talk the Dead King makes his move, and I make mine. The world is cracked, time has run through, leaving us clutching at the end days, the future so bright that those wh...o see it are the first to burn. These are the days that have waited for us all our lives. These are my days. I will stand before the Hundred and they will listen. I will take the throne whoever seeks to thwart me, living or dead, and if I must be the last emperor then I will make of it such an ending. I'm reading the first one and I'm loving it! I've always had a weakness for the darker side of Fantasy, and these are dark and gritty, just the way I like it :D And Mark is awesome! I am! I like the honesty in the way he tells his story. And it reads so smoothly! If I had more time, I could read this one in a few hours.